Warm wood tones in silver ash, harmoniously matched with chic interiors in shades of green. Aircondition, safe, high speed internet access, bathroom with shower and WC, shaving mirrors, and additional separate guest supplies, soundproof windows, room size about 13-20 sqm and partial-slip flooring in exceptional vinyl. Harmoniously matched warm wood tones in silver ash with chic interior in shades of green. Aircondition, safe, high speed internet access, bathroom with shower and WC, shaving mirrors, and additional separate guest supplies, armchair and side table or integrated bench, sound-proofed windows, partially with french balcony, size of the rooms approximately between 20 sqm to 30 sqm and partial-slip flooring in exceptional vinyl. Aircondition, safe, high speed internet access, bathroom with shower and toilet, shaving mirrors, and additional separate guest supplies, seating or two armchairs with side tables, sound-proofed windows and size of the rooms from 30 sqm to 40 sqm. 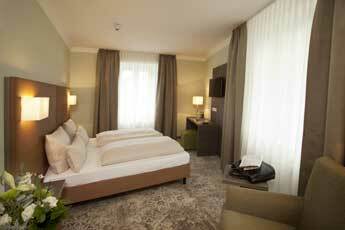 All our rooms are Nonsmoking rooms.Our timeless and elegant rooms are decorated in warm wood tones. 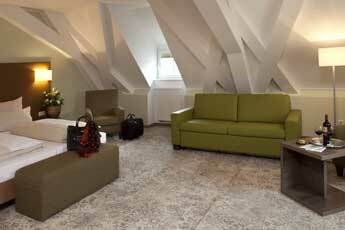 All rooms are equipped with soundproof windows, individually controlled air conditioningand Wi-Fi. Two rooms have facilities for disabled people. You can choose between different types of room categories. 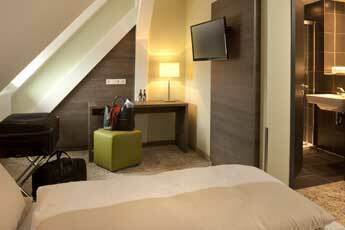 Rooms are examples for the standard.